Urban Wildlife Guide: Sunny and Warm today. Sigh. 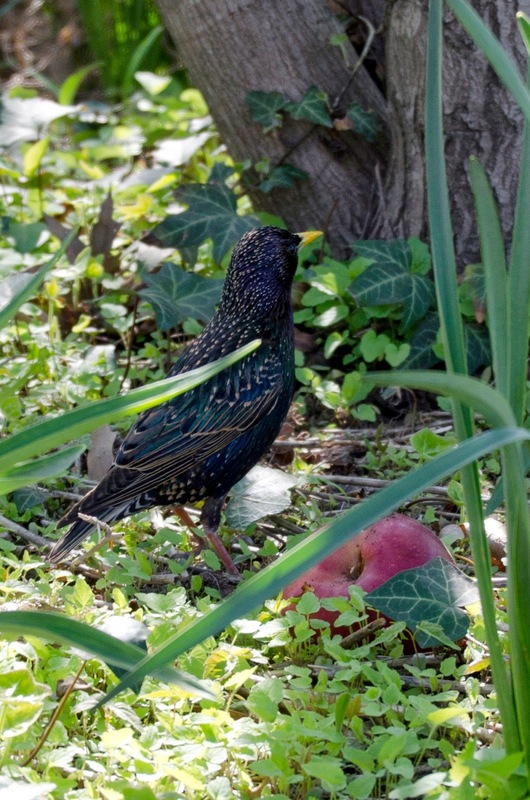 This starling found a discarded apple in the grass. He stopped eating to regard me as I took his photo but resumed when I walked away. Click to enlarge.